Each week during our spring Rockin’ ‘n’ Runnin’ Training Program, our coaches select a Runner of the Week. These are individuals from our RnR, Boston, Next Level, and M2B training groups who have made a difference in others running lives or deserve to be recognized for their running achievements. As an extra bonus, these individuals awarded a gift certificate to Milestone Running store! Make sure to congratulate these runners next time you see them! Over the last 10 plus years running for me has come a long way. After major surgery to my lower back about 12 years ago part of my physical therapy was walking on a treadmill. My goal was to just walk normal again. After about a year of that boring stuff I decided to try a mile out on the road. Other than the pain I loved it. 1 mile increased to 3 then 3 to 5 and so on. I then was somehow talked into running my first race which was the San Diego Rock n Roll Marathon. It was a long day, but I accomplished my goal and finished. That day led to 10 consecutive San Diego Rock n Roll Marathons along with 24 other full marathons including Athens and Berlin. I’ve also been fortunate enough to compete in approximately 120 half marathons. Last year through a mutual friend I met Coach Paul Greer and joined San Diego Track Club. 4 months after joining with Coach Greer’s training plan I improved my Chicago Marathon time from the previous year by a half hour. That was also my 7th in a row in Chicago. I’ve now joined the Rockin n Runnin training program for the first time hoping for a PR in the Ojai Marathon in May. I also plan on running the LA Marathon in March and of course the Chicago Marathon in October along with various half marathons. 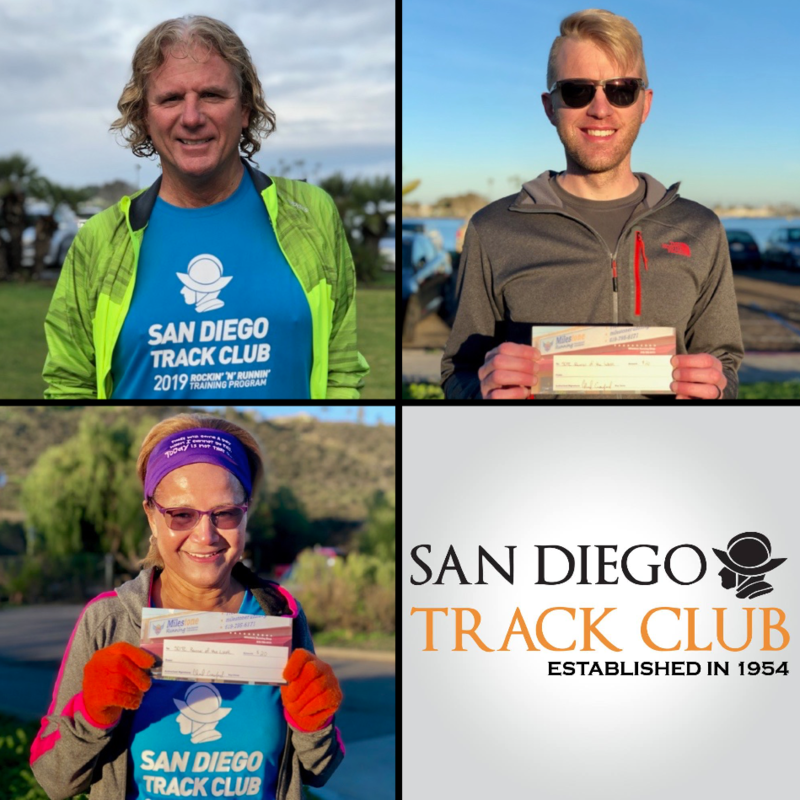 Again, I want to thank the San Diego Track Club and Milestone for all the help and support they give to us runners! I ran cross country and track for three years in high school, from 1998 to 2000. After watching a friend run the Rock ‘n’ Roll Virgina Beach Half Marathon in 2009, I decided to get back into running and trained for the Virginia Beach Wicked 10K. Two years later, I ran my first half marathon. For the first eight years of my time in the Navy, I struggled with my weight, just barely passing the Navy’s Physical Fitness Assessment. I failed a PFA in 2013, which motivated me to get serious about my health and fitness. To help with this, I decided to register for my first marathon, the 2013 Marine Corps Marathon. I have a bad habit of swearing I’m never going to do something in running and then doing that thing. I once swore I was never going to run anything longer than a 10K. After running my first half marathon I swore I would never run anything longer. After running my first marathon I swore I would never run another. I have now ran nine half marathons and five marathons. 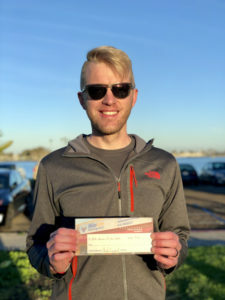 I found out that I would get to stay in San Diego for shore duty, so I decided to research running clubs in San Diego because I felt like I needed to do something different in my training, as I was falling just short of my race goals. I liked that SDTC is USATF-registered club and has such a long history. I took the plunge and joined the club, registered for the RnR program, and applied to the Next Level program. After the past two weeks, I can already tell this will be my best training cycle ever. I love the organized workouts, the availability of the coaches, and the support network. All of these things provide motivation and accountability, something that has been missing in my previous training. A Fun Fact: I own every *Nsync and Justin Timberlake album. My Name is Myrtle Spowart, I’m 65 years young and I had started my running in May of 2014. My first race was the Balboa 8 miler in 2014 and had finished that race in 1:47:02. In 2017 I had registered to run my first marathon, on race day while moving in my corral, I asked myself what have I got myself into, I tried to recall all the training, coaching and advice Coach Paul had presented us and while I was on the move running mile after mile, those thoughts were still in my mind which also helped me to cross the finish line, I completed the race in 5:08:02. Since 2015, I had completed 2 marathons, 7 half marathons and I’m also a member of the women’s master team, have taken part in the Dirt Dog Cross Country Series, and have also received the Iron Dog Award. 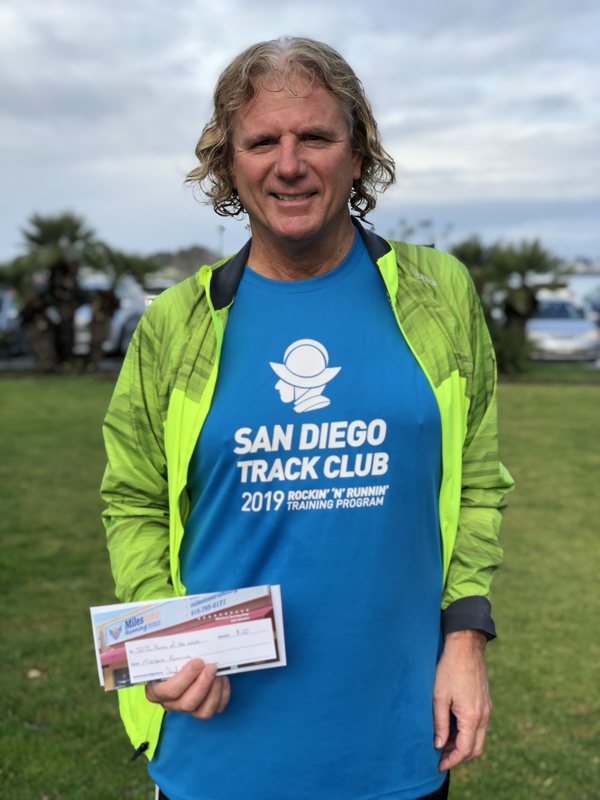 Had run the Carlsbad 5000 the last 4 years, Ocean Side 10K Turkey trot the last 3 years and was twice placed 2nd in my age group. 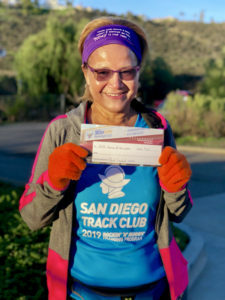 I also ran the Vista Strawberry 10K race in the last 3 years and I was placed 1st in my age group in 2018. It is also an honor to represent the Women’s Master’s Cross-Country National championship team in 2015 and again in 2018 in Spokane. Thank you coach Paul Greer, my mentor, coach Bill Aaron and all my SDTC family for all the support & encouragement given to me throughout my training. Interested in joining the Rockin’ ‘n’ Runnin’ Training Program? We still have a few spots available! We’ll meet at the track on the San Marcos Middle School. Practice will begin at 6:00pm sharp. Warm-ups should be done on your own (or with friends) beforehand. Join us for a fun interval workout on the track. Everyone is welcome to try us out for FREE for a couple weeks. Join us for SDTC's spring half and full marathon training program. The Rockin' 'n' Runnin' Training Program will prepare you to meet your running goals, with supported Saturday long runs, Tuesday track workouts, coaching and mentoring, a training schedule, and a supportive network of other runners to train with!